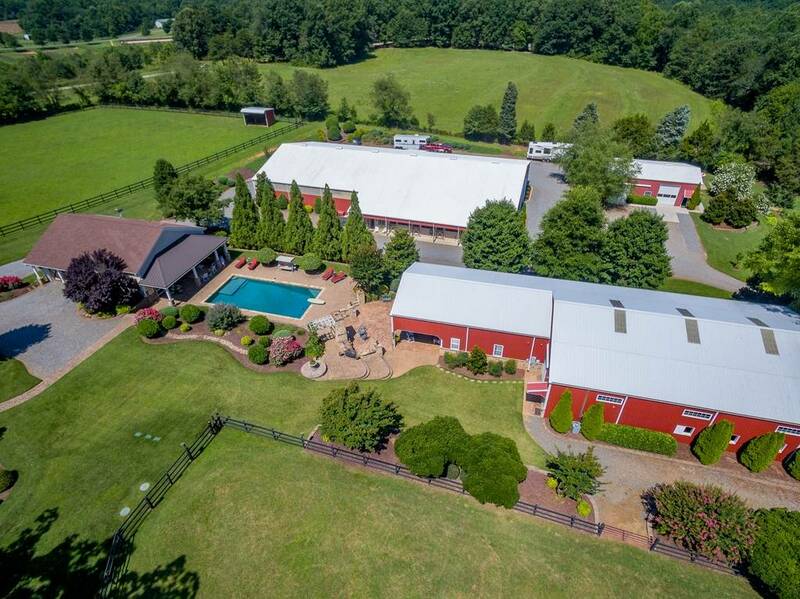 Whether you are a professional equestrian or hobby equestrian you will appreciate the thought to detail this equestrian estate was given. 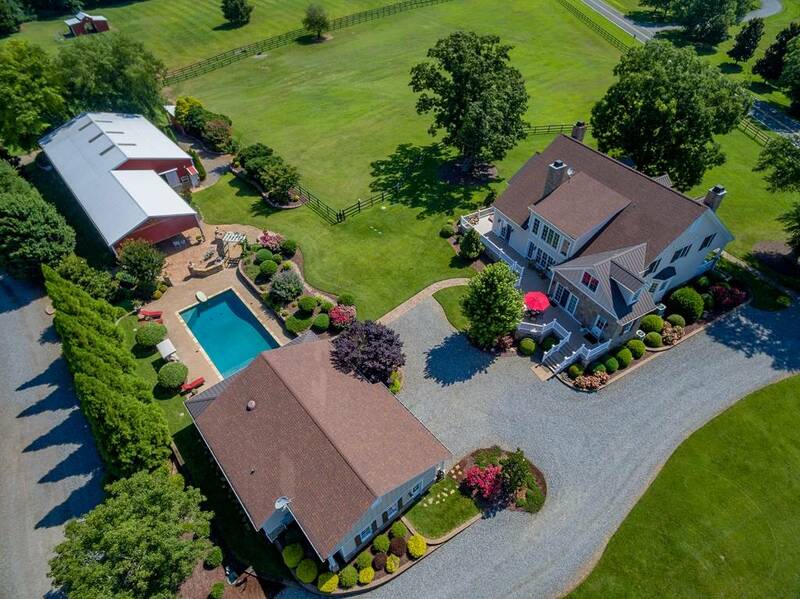 The elegant, yet county charm of the custom built farm house coupled with the equestrian facilities, guest house, pool house and beautiful grounds make this an estate you will be proud to call your own. 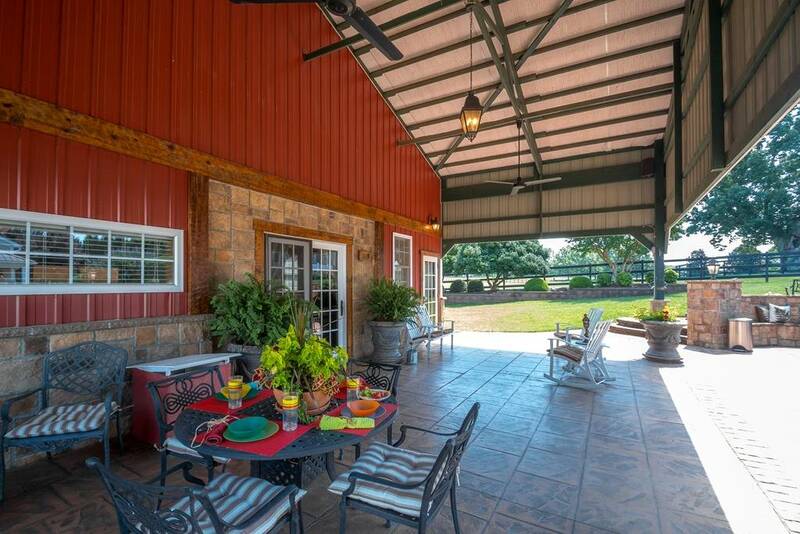 Then you will smile with you see the stone and hardi-board farm house with the rocking chair front porch nestled under the Pecan and Oak trees. While not overbearing the home has a presence that says it belongs right where it is. 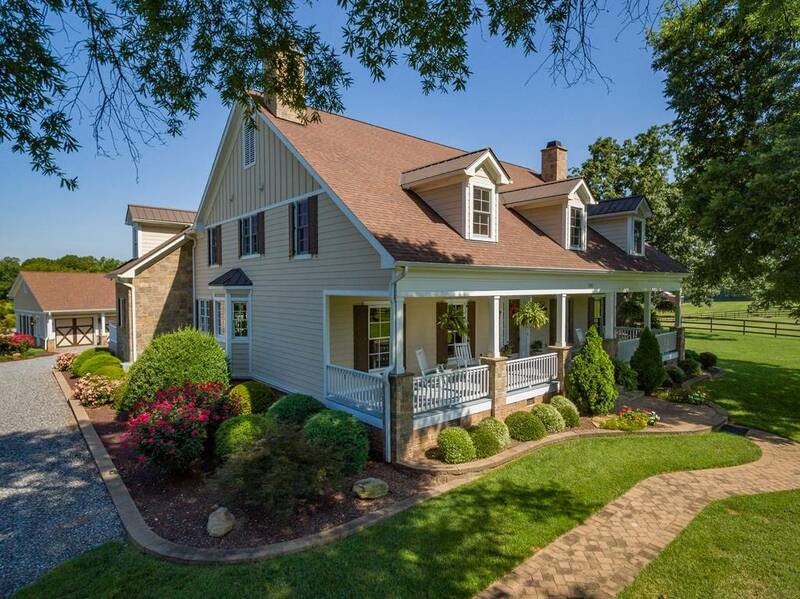 The home offers all the modern conveniences and upgrades along with some special modern country touches. 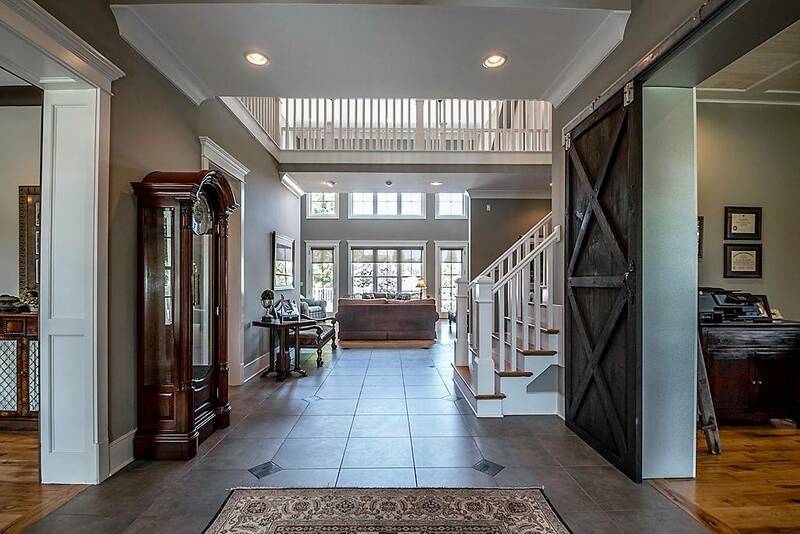 A two story tiled foyer opens to the office with custom built barn doors, built-in cabinets and book shelves on either side of the fireplace. 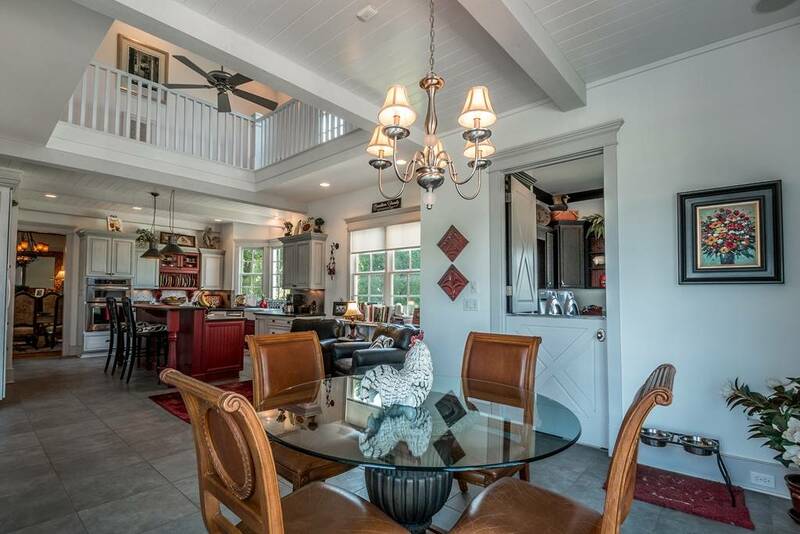 The formal dining room catches your eye on the other side of the foyer. It offers wainscoting trim work, built-in lighted china cabinets, a fireplace with a refinished antique mantle and a graceful chandelier. 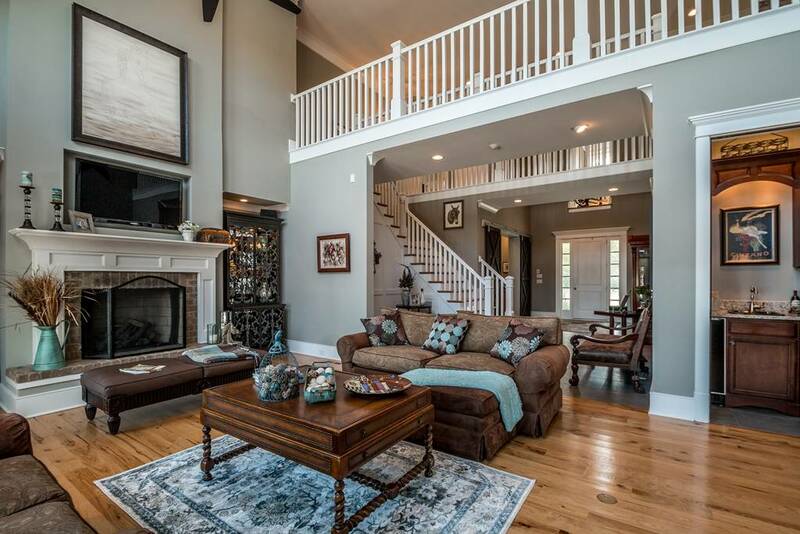 You walk under two cat walks past sitting areas and the staircase into the bright great room. 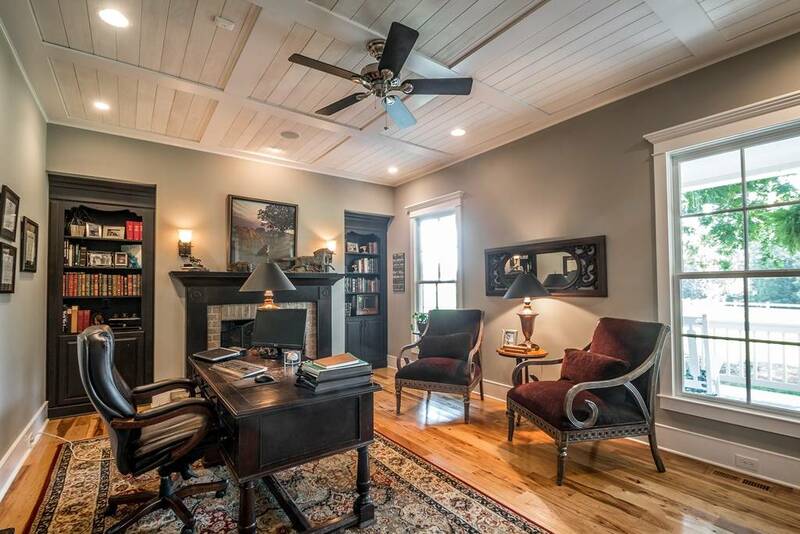 Floor to ceiling windows, two story ceilings, hickory hard wood floors and the third fireplace make this a warm and inviting room to entertain friends and family. 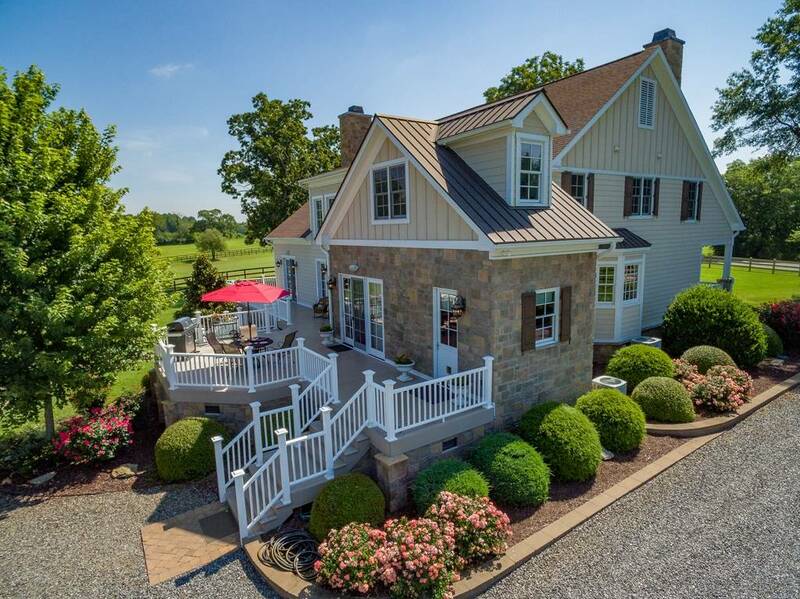 Prepare beverages in the wine cellar/wet bar. Wine racks, bar sink, cabinets, ice maker and wine cooler allow you to offer any variety of drinks. 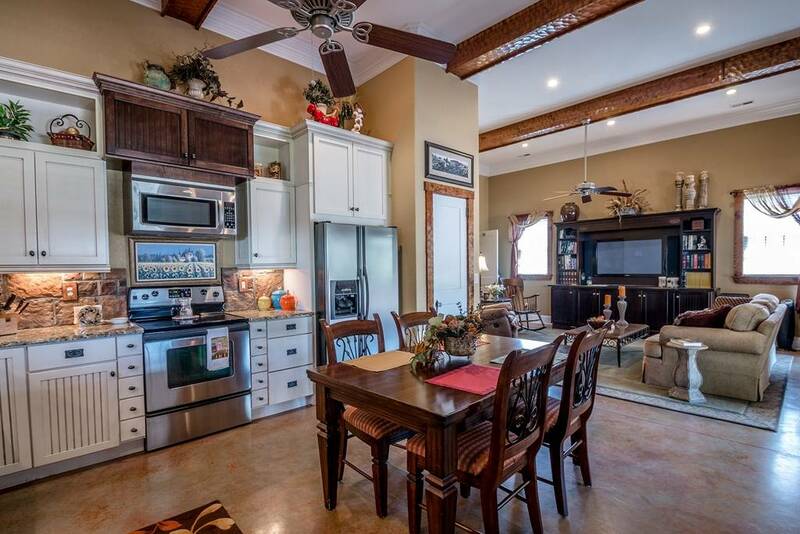 Prepare meals while family and friends relax at the breakfast bar or sitting area in the kitchen. 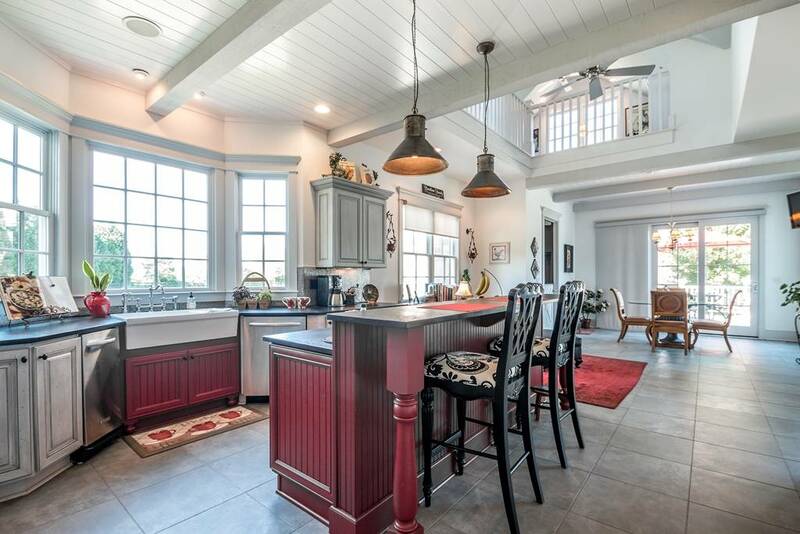 Even a gourmet would appreciate the custom built cabinets with their soft returns, spice drawers and racks, pull out shelves, bread drawer, knife drawer and large walk-in pantry. 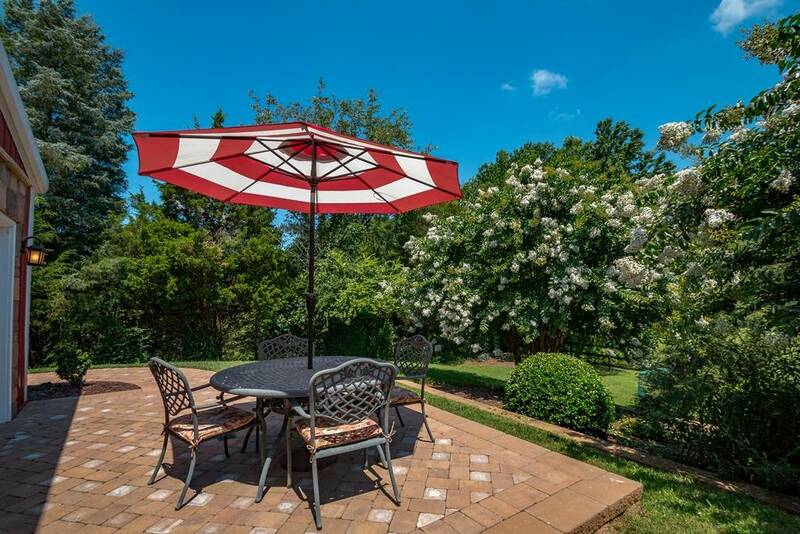 Stainless steel appliances include a 48” refrigerator, double oven/convection microwave, Thermador 5 burner gas range, dish washer and trash compactor. Under counter lighting and rope lighting only provide more ambiance to the meal preparation. 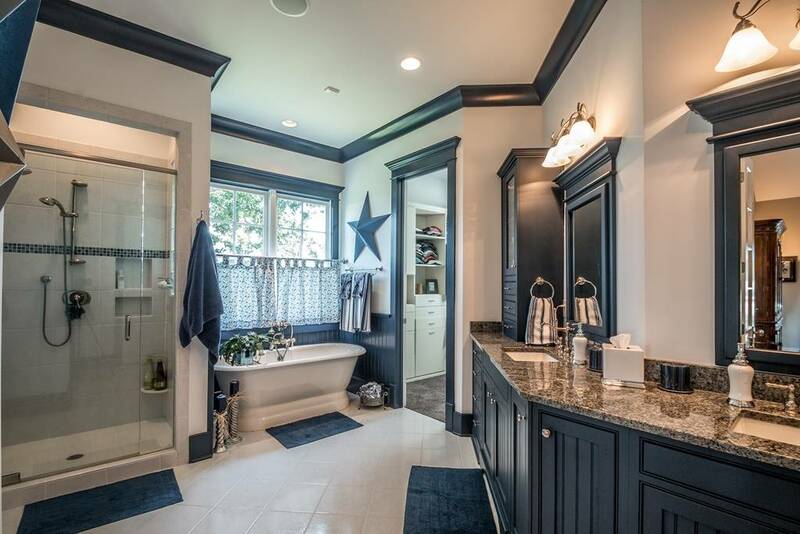 In keeping with the country feel a farm house sink, pounded metal backsplash and honed granite counters are a perfect complement to the wood beams and tongue and grove ceilings. 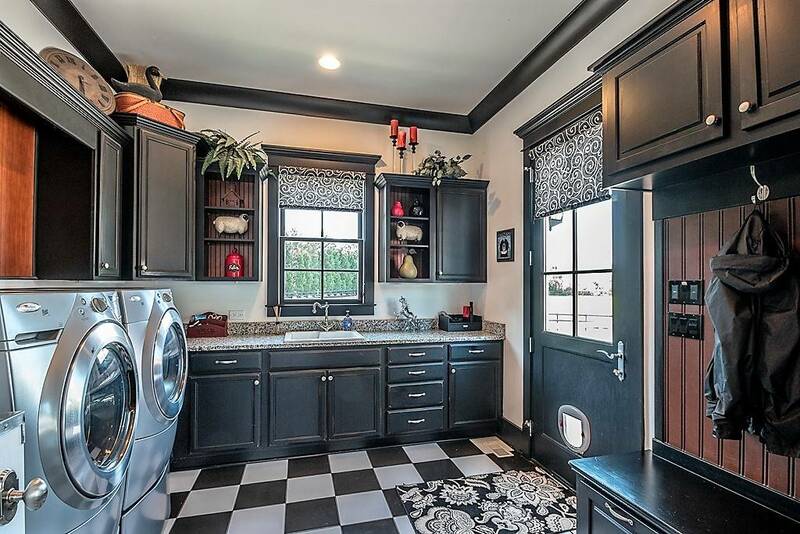 The large laundry room was set up for keeping the outside elements contained and providing a place to feed the pets. 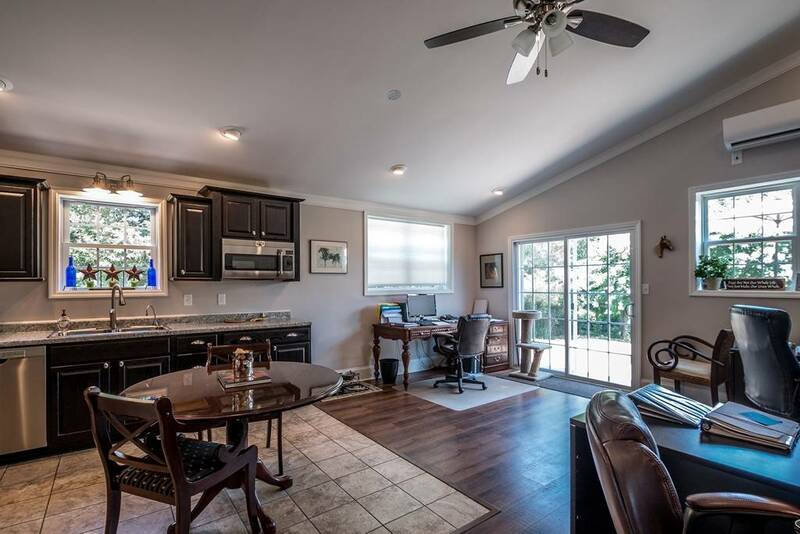 Cathedral ceilings with wood beams, French doors to the outside and a large master bath with heated floors, custom cabinets, cast iron tub and two generous walk-in closets are only a few of the feature the master suite offer. Upstairs, both guest bedrooms have their own private baths and walk-in closets. The cat walk that overlooks the kitchen area takes to the reading loft with built-in bookcases. Just in case the pool house and guest house don’t provide enough space to play and have house guests, there is an additional 800 square feet on the third floor waiting to be finished. 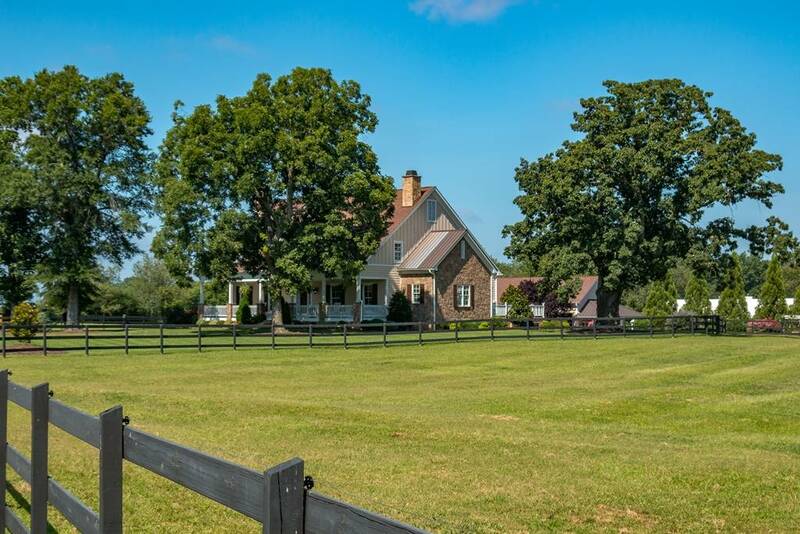 Enough about the house, everyone wants to know more about the grounds and equestrian facilities. 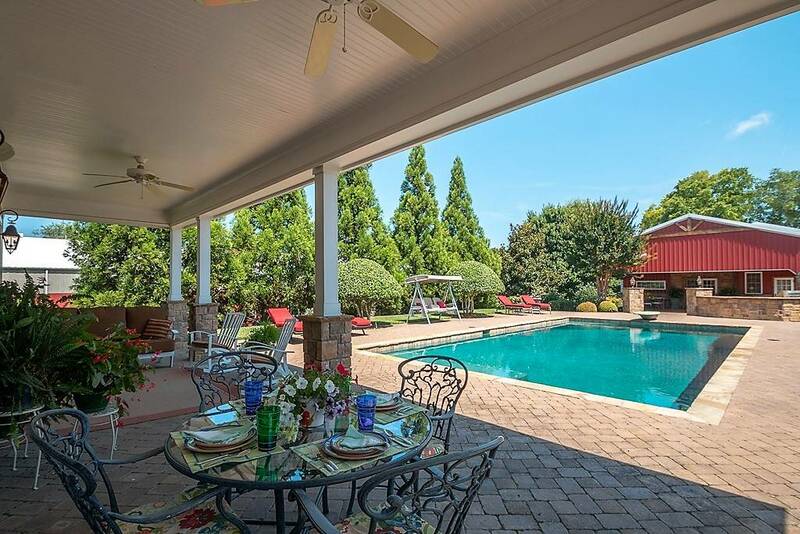 An incredible pool house graces one side of the pool and patio area while the guest house, stone outdoor fireplace and English garden grace the other. 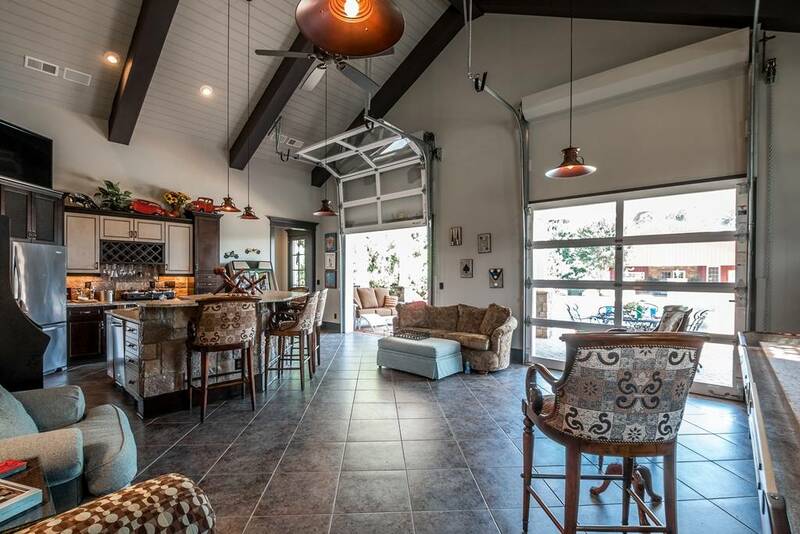 Quality is carried throughout the guest house and pool house with every thought to details. 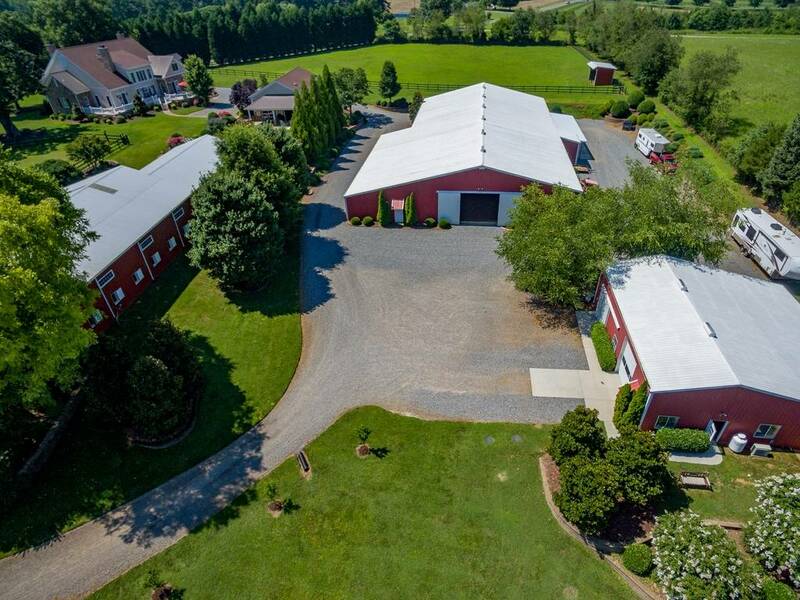 The main 3,500 square foot barn can accommodate 6 to 9 horses. 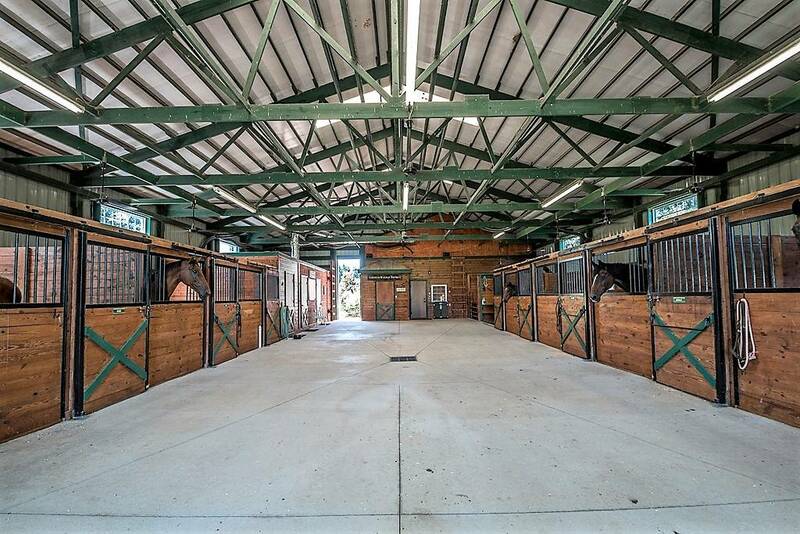 Industrial strength ceiling fans, concrete, drains, stall mats and windows make this barn a bright, clean environment for rider and horse. 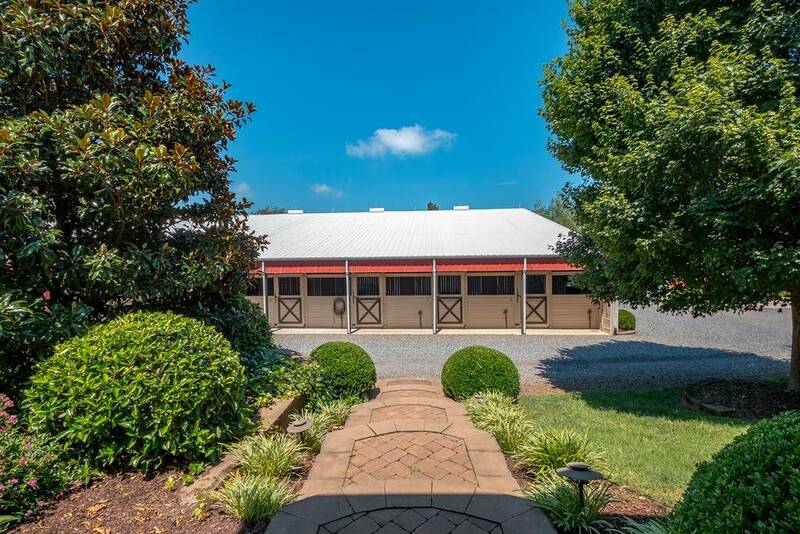 A climate controlled tack room and full bath, a laundry/feed room, wash stall and tack up stall make this barn a very functional barn. 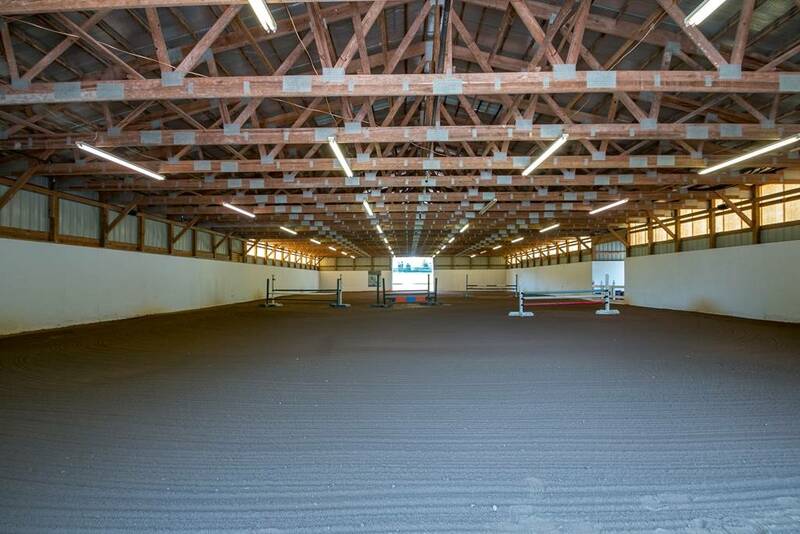 The lower barn and indoor arena provide an additional five stalls of the same quality, tack room, laundry room and wash stall. Excellent footing is maintained with a sprinkler system. Enjoy working your horse to music with the satellite music system in the arena. A multifunctional shop/hay/shavings building offers plenty of space for any work or additional hobbies. All the pastures have three sided run-in sheds and water. 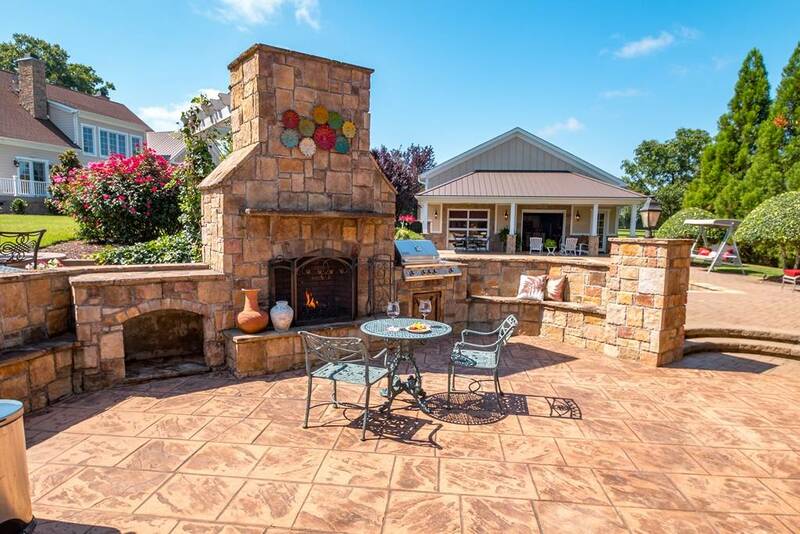 With access to trails and additional land you will never run out of space. 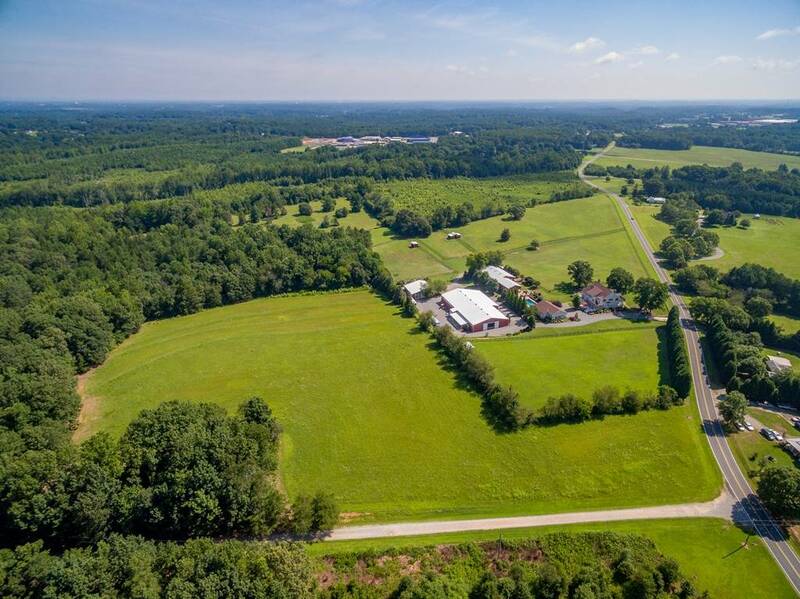 If you are serious about your horses and like the good life, this is an estate you will want to visit.